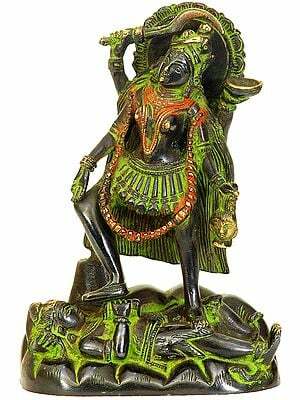 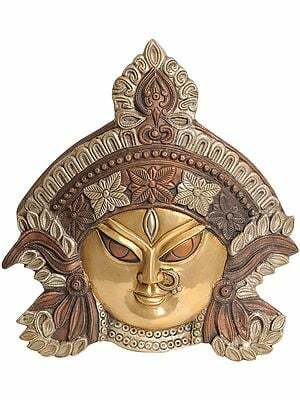 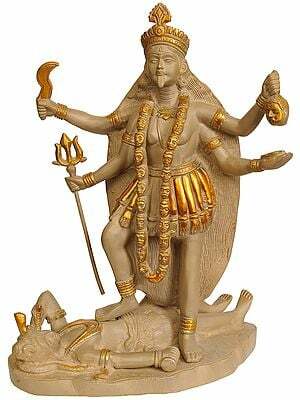 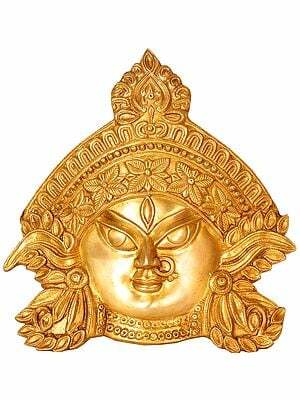 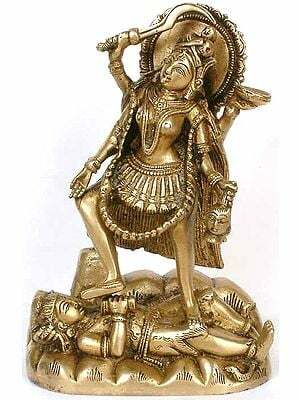 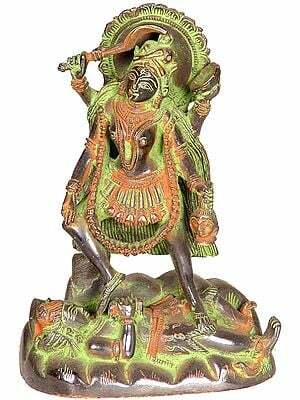 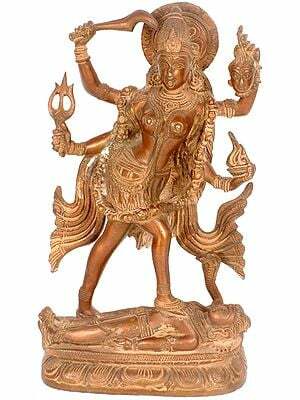 The beauty of the Devi Kali lies in Her ferocity and invincibility. 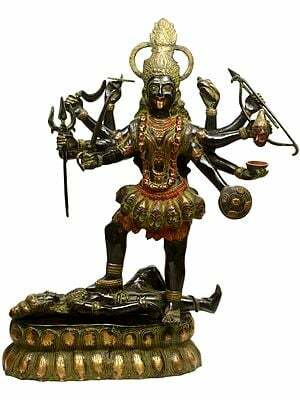 The very picture of Her is enough to make the adharmee tremble with fear. 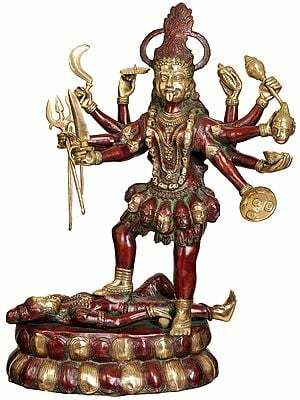 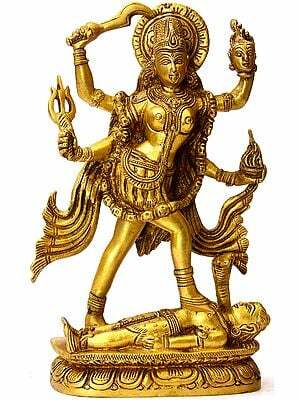 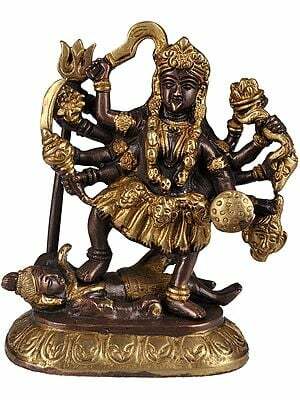 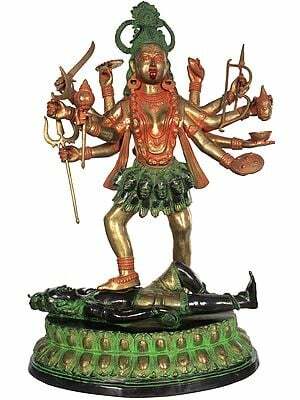 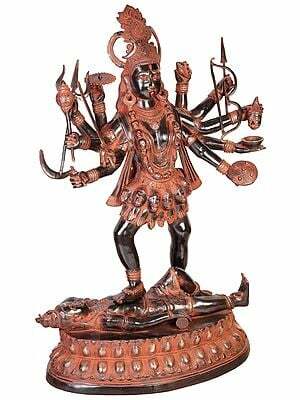 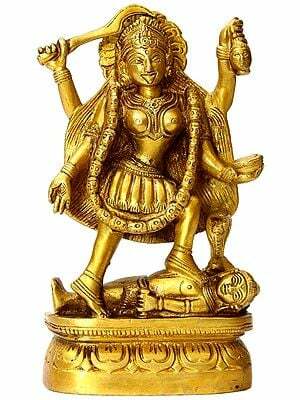 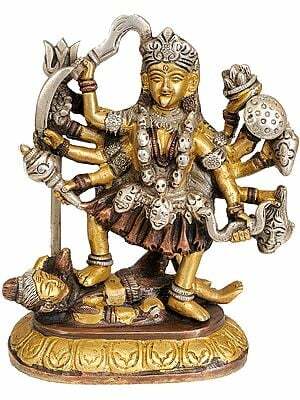 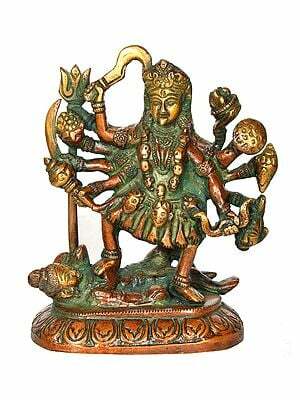 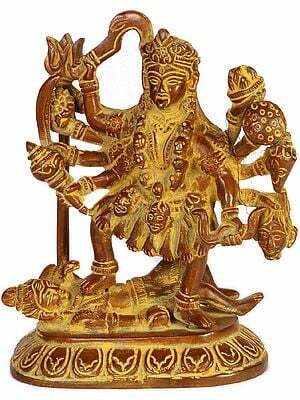 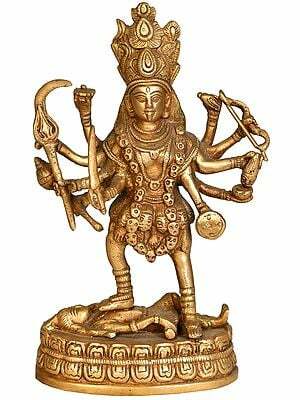 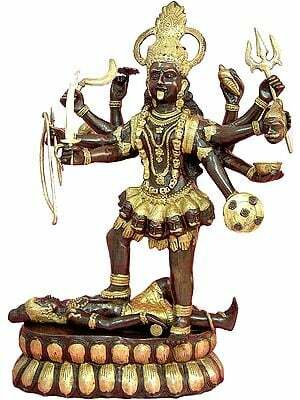 Each of Her ten arms ('dasha' in Sanskrit means 'ten'; 'bhuja', 'arm') bears a deadly weapon of divine prowess. 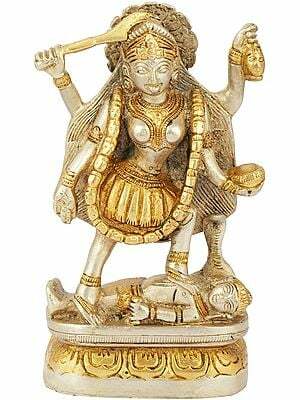 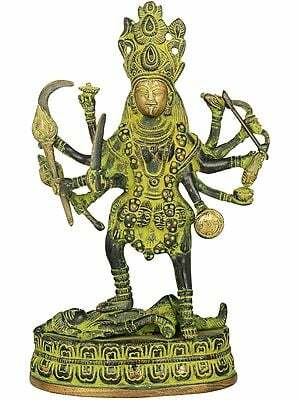 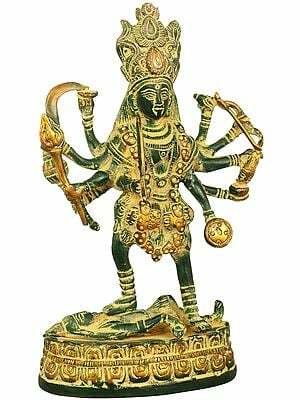 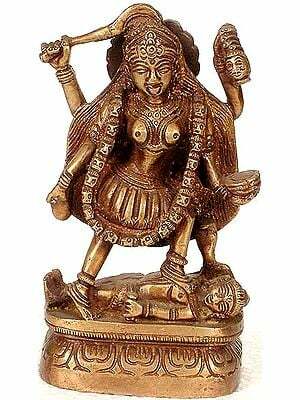 She uses them to slay adharmees, whose severed heads are hanging in the garland that hangs down Her neck all the way to Her thigh (myth has it that the number of heads in this signature garland derives from the Sanskrit varnamala or alphabet). 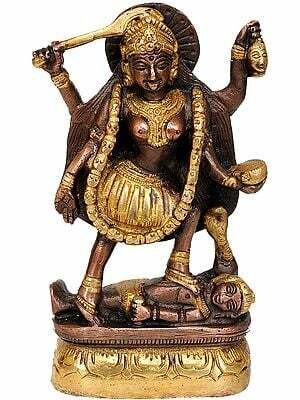 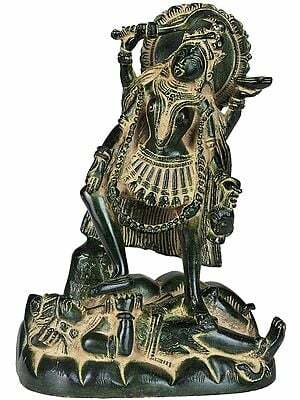 A skirt of severed arms exposes Her long legs, a token of the samarpan (offering) of one's karma-yoga made by Her devotees. 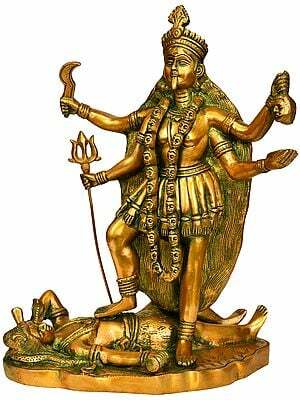 With one feet She pins down Her husband, the destroyer of the universe, the lord Shiva Himself, who lies there with a knee and a hand, clasped around the damru, raised. 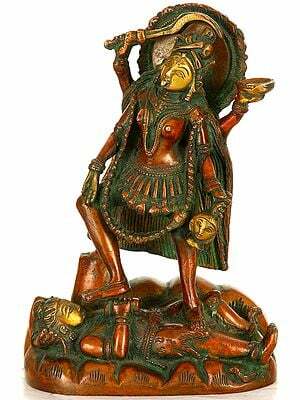 Her gaze is fierce, Her tongue exposed in a gesture of bloodthirsty endeavour. 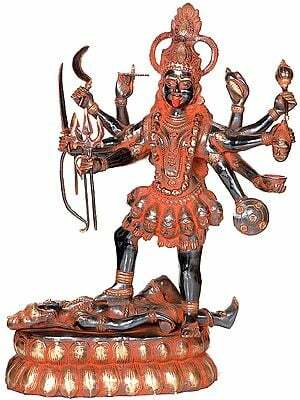 Despite the fearsome iconography, Kali Devi is not devoid of beauty. 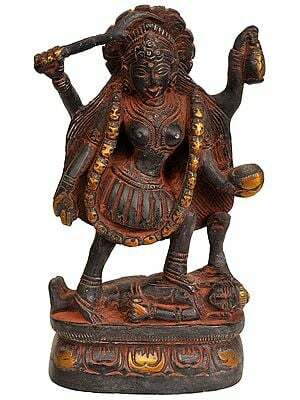 Her musculature is lissome; Her tresses so luscious it is enough to clothe Her usually naked person. 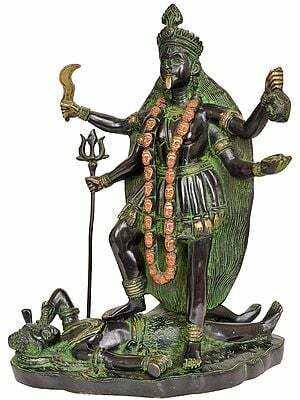 Her shringar becomes Her status as the wife of Shiva - chunky amulets and wristlets for each of Her ten arms, anklets that weigh upon the torso of Shiva beneath Her feet, and ample necklaces and kundalas. 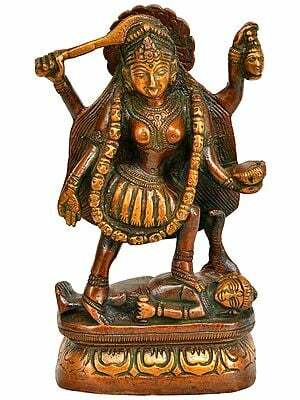 The dharmic devotee discovers on Her stern brow the solace of maternal protection. 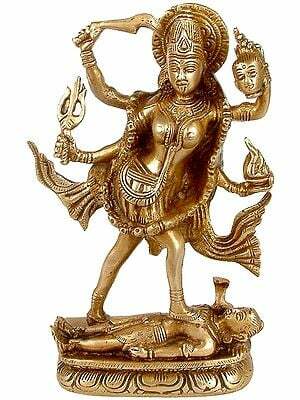 Note how Her third eye has been engraved onto Her forehead, right below the hem of the haloed crown. 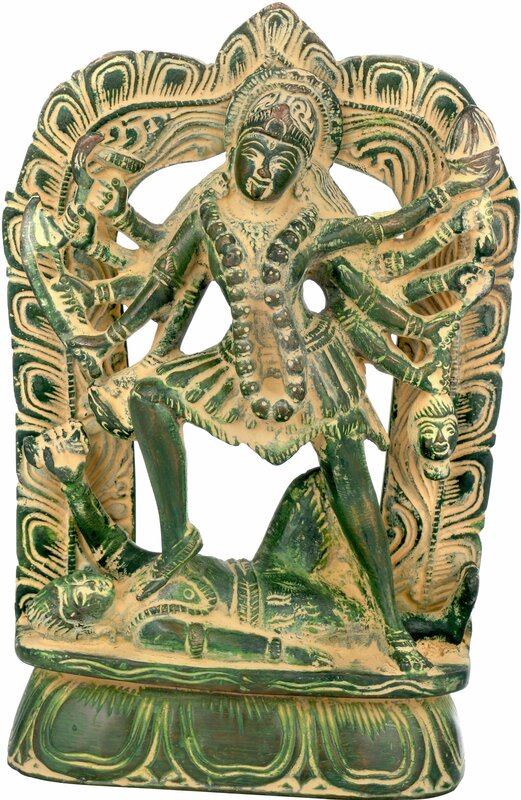 A dual-layered aureole frames the composition, with a layer of lotus petals jutting outwards and a sequence of waves along the inner edges. 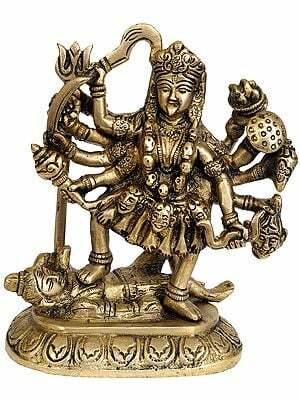 The calm Shiva lies outstretched on a thick lotus pedestal, a panel engraved with wave-like curves separating Him from the petals.